The reduced depth of this table allows it to be used repeatedly (sometimes twice daily) for longer periods making it ideal not only for the re-treatment of decompression sickness symptoms (DCS) but for elective patients who may require 40 or more treatments. 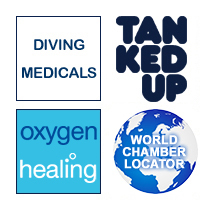 Often the first treatment used for divers with decompression sickness (DCS). 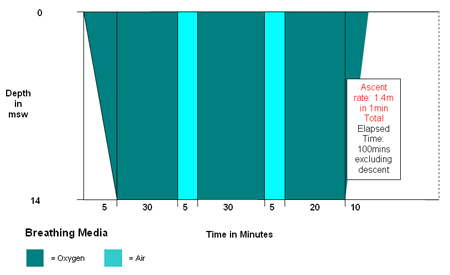 Often used for divers who have missed decompression stops but do not have symptoms of Decompression Sickness (DCS).